Avec Han Yu, fondateur du mouvement de la prose classique (guwen 古文). Haut mandarin puis exilé à Liuzhou où sa production littéraire se développe. 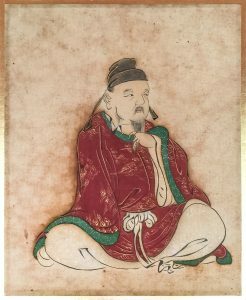 Le poème original contient deux autres vers (placés ici entre parenthèses).Su Shi (Su Tungpo) aurait commenté que le poème serait meilleur sans ces deux vers et il y eut un débat à ce sujet. 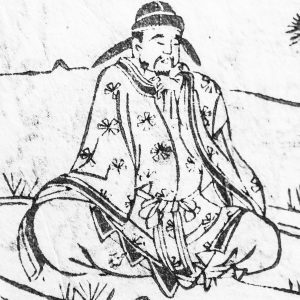 Le poème a été écrit quand Liu Zhongyuan était exilé à Yongzhou. Le dernier vers “les nuages au dessus des crètes” est basé sur le poème de Tao Yuanming “Retournant aux champs” (帰去来の辞). On trouve deux interprétations sur la personne（人）du poème : soit un individu anonyme, soit le pécheur lui-même. The original poem has two more lines at the end that read, “He turns to see the end of the sky, and goes down the river. 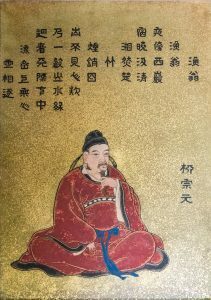 He looks up and sees clouds passing one after the other above a cliff freely and innocently.” Su Shi (Su Tungpo) is said to have made a comment that the poem would be better without the last two lines, and there have been debates concerning this matter. 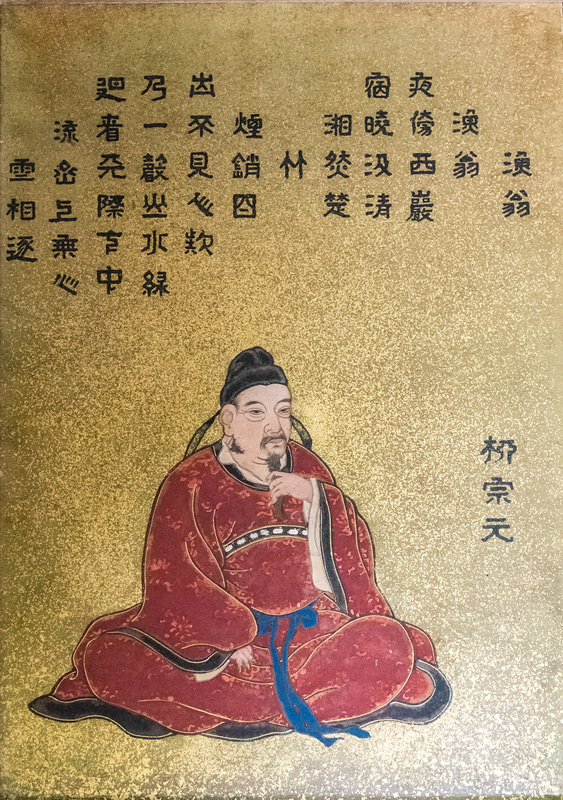 The first four lines and the last two lines are different in tones in that the former describes the fisherman objectively and the latter describes the feelings of Liu Zhongyuan. 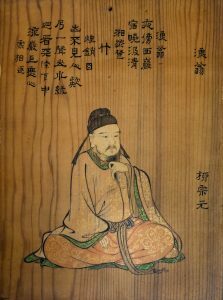 This poem was written when Liu Zhongyuan was exiled to Yongzhou. The last line “the clouds passing above a cliff” is based on Tao Yuanming’s “Returning to the Fields” (帰去来の辞). 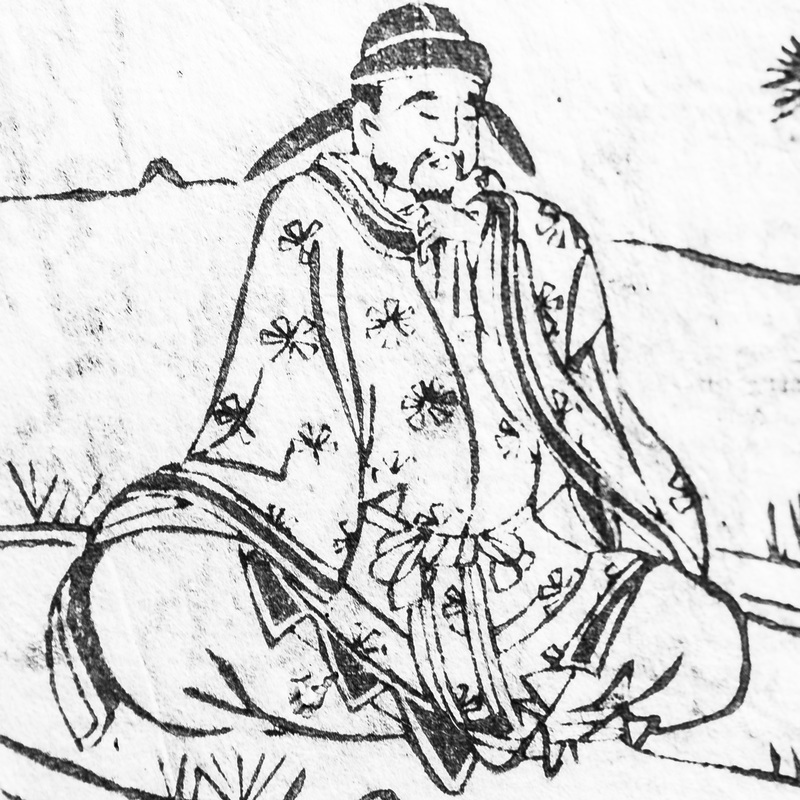 There are two views concerning the “person（人）” in the poem. One view says it refers to a person in general (therefore meaning “no one is in sight”) and the other view says it refers to the fisherman himself.